As the name suggests, solar energy is produced through the sunlight. The process of converting sunlight into solar energy is called photovoltaic energy. And the heat that is produced through the warmth of the sunlight is called thermal energy. These are the inexhaustible and renewable source of energy that can be conserved using panels and mirrors. Why should you switch to solar energy? It is one of the cleanest, a sustainable and renewable resource that is available in the world. The only pollution that is produced in the whole process is during the manufacturing of the solar panels. Else then that, there is zero percentage of pollution emission using solar energy. Apart from air pollution, it also helps in cutting down noise pollution. It conserves the rays of the sun into its solar panels and produces electricity without making any sound. Since 2008, there has been a down surge in the price of the solar panels of up to 8% which is believed to be getting more affordable over the coming years. If you are not looking for buying solar panels, then you can even rent or finance a solar panel. After you have installed the photovoltaic panels, there is hardly any cost involved. The source of the energy source comes for free, and the maintenance is of minimal cost. Moreover, most of the panels come with a 25 years warranty and free maintenance. Solar energy is one of the most reliable sources of energy. With the amount of increase in pollution, after a year or so, pollution can block sun rays from entering the earth. But if we start switching to solar energy from now, the future can be saved. A solar panel got installed every 84 seconds in the year 2016 which highlights the importance of using solar energy. What are the major benefits of using solar electricity? In the year 2017, India has generated over 21.5 billion units of solar electricity. That is over 86% from 2016. This clearly reflects that Indian public is fairly benefitted with switching to solar energy as a power source. Facts tell us that solar panels help in reducing the electricity bills to almost half the price of power generated by traditional methods. The solar energy can be captured by using panels and mirrors for producing heat or electricity. 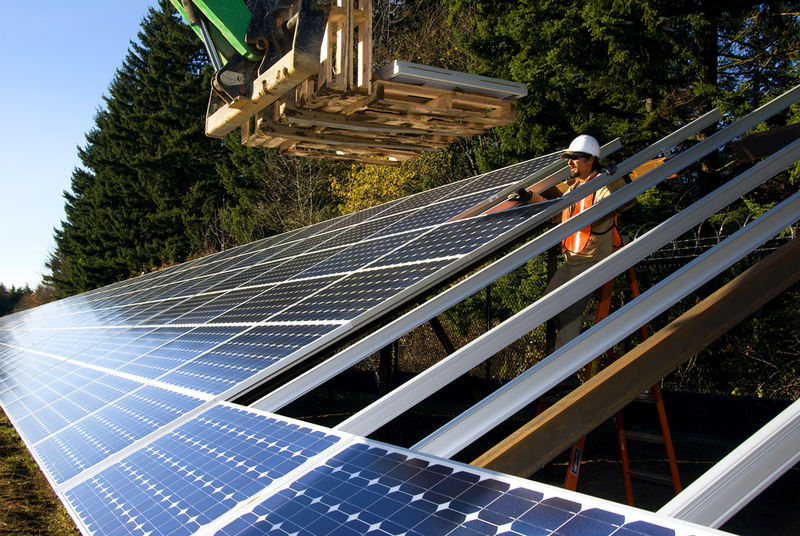 Photovoltaic cells are the most common form of converting solar energy into electricity. In this form, the photovoltaic cells convert the sunlight into electricity directly. The PV cells are made of silicon. It is the same material that is used in the semiconductor chips of the computer. The cells are arranged on a rectangular panel. When the sunlight hits the cells, it gets the electron from the atom which allows them to flow directly through the material. The DC is then sent to an inverter which converts the DC to AC. Next is the solar thermal collector. The heat absorbing panels of the solar thermal collectors are attached to a circulation tube that is used for heating water and buildings. When the photon hits the solar cells, they make the electrons free of their atoms. When the conductors are attached to the positive and negatives sides of the cell, an electric circuit is formed. And when the electrons flow through the circuit, electricity is generated. There are multiple cells in a solar panel, and when multiple solar panels are attached together, they make an array of the solar panel. Solar energy is the most constant and reliable source of energy that you can get for your home. Since the only cost involved in this process is buying the solar panels, it is a one-time investment opportunity. It would help in saving a huge amount from your monthly electricity bill. It is safer and cheaper than all the other alternative form of energy. India is now none of the leaders in terms of solar energy generation. Solar power in India is now one of the fastest growing industries in the world. So, let us have a look at the top solar plants in India. It is the world biggest solar park that produces 1000MV of solar power. It spreads over 5932 acres of land. It is one of the biggest solar parks in Asia which is located in northern India. It produces 856.81 MW of solar energy. It is the third largest solar park in India that is located in the Jodhpur district of Rajasthan. It produces 746 MW of solar energy. The project is spread over 10,000 acres and has a total capacity of producing 2.255 MW. It is the second largest solar park in the world and also in India. It is located in Kamuthi, Tamil Nadu. It produces 648 MW of solar power. Lying over 400 acres of land, the Sakri Solar Plant is located in Maharashtra and produces 125 MW of solar energy. The efficiency of solar energy has lead to the success of it. 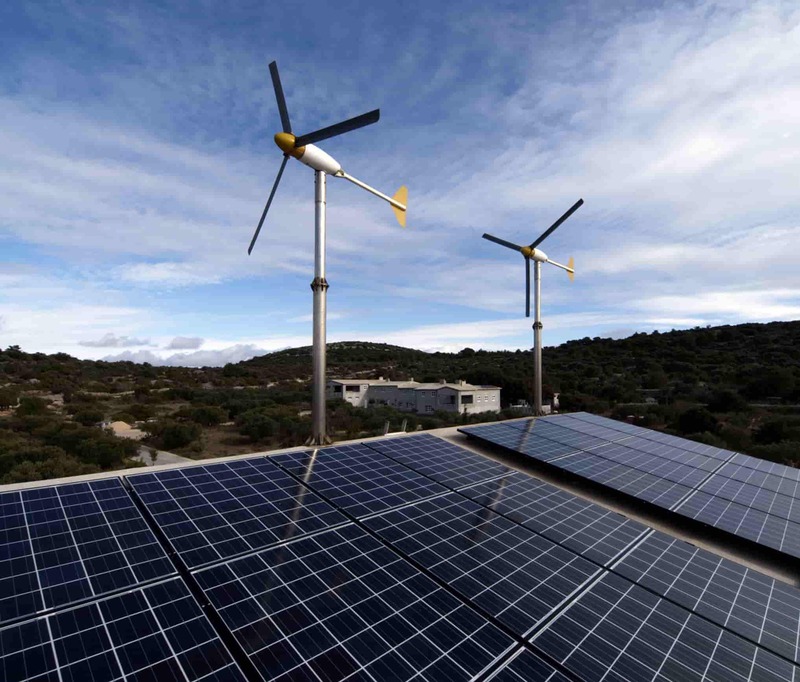 It is now one of the most favored forms of energy among the environmentalist. Follow our blog to stay updated with all solar related news. We recommend you use inverter ACs with solar panels for most cost-efficient design. Retrofitting existing old-ACs with solar will require a larger solar array than needed, and hence will be more expensive. With a solar + inverter AC combination, you will not see an increase in power bills due to AC usage as it will be offset by the solar power produced. I want to know how it works? Is it invertor based and manual intervention is needed? How mansoon affects the savings? Depending on the area you are located in monsoon will affect the production. In a very rainy area like Mumbai, it reduces by half for about a month or two. In places like Pune – close to Mumbai, but not as wet – the reduction is much less. In any case, the final annual production from the system is typically stated as an average since in the summer months you produce much more than average.